WiFi takes to the skies in the form of Aquila, a self-piloting Facebook drone with a wingspan greater than that of a Boeing 737. It’s another move by companies such as Facebook and Google to deliver internet services through unconventional means. 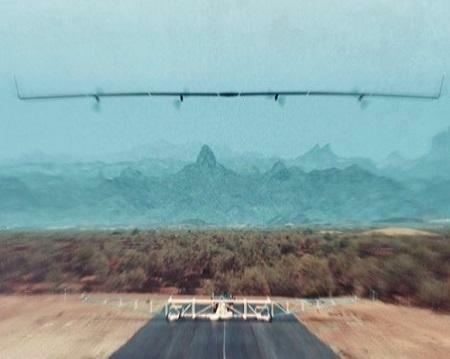 On the heels of its announcement this week for a laser-based solution to routing the wireless web, social media titan Facebook completed the first successful flight of Aquila, the company’s solar-powered plane designed to beam the internet to remote parts of the world. The flight, which took place before dawn in Yuma, Ariz., on June 28, was only meant to last for 30 minutes, but the test went so well that the team decided to keep the plane flying for up for 96 minutes. The eventual goal is to have a fleet of the drones flying at 60,000 feet, communicating with each other with lasers and staying aloft for months at a time. That duration would allow Facebook to break the record for the longest unmanned aircraft flight. While Aquila has a wingspan wider than a Boeing 737, it has to weigh as little as possible to stay up for as long as possible. The design team solved the problem by constructing a carbon fiber composite body. This means the drone weighs less than 1,000 pounds. Although the drone is in some ways self-piloting, Aquila relies on a ground crew of about a dozen engineers, pilots, and technicians who direct, maintain, and monitor the aircraft. The team controls the craft through software that allows them to determine heading, altitude, and air speed, or even send Aquila on a GPS-based route. Aquila’s communications payload uses lasers to transfer data, and will be able to aim its beams accurately enough to hit a dime more than 11 miles away while in motion. The company is not alone in its quest to bring WiFi to the sky. Google is expanding its ambitions for WiFi in the sky with Project SkyBender, which aims to deliver 5G wireless internet from solar-powered drones, according to a January report in The Guardian. 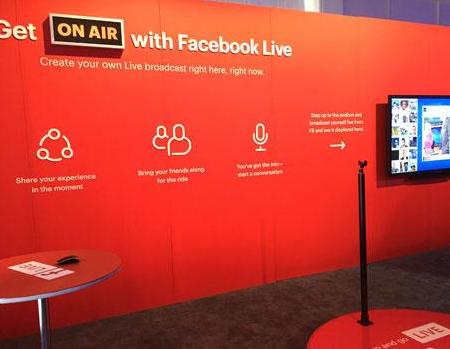 Earlier this week Facebook announced it had developed a laser-powered internet connectivity technology that detects optical communication signals traveling through the air. The development, announced on July 19 by the company’s Connectivity Lab and published on The Optical Society, indicates there may be a future for license-free communications systems. The experiment offered data rates of more than 2 gigabits per second (Gbps), but Tobias Tiecke, the leader of the research team, wrote that the new approach could theoretically allow free-space optical data rates of more than 10 Gbps if materials were developed that operate in the infrared part of the spectrum, invisible to human eyes. The research team plans to move the technology out of the lab and into the real world through the development of a prototype that could eventually lead to a commercial product.